THE BEADY EYE SAY’S: THE BREXIT NEGOTIATIONS​ HAVE LITTLE TO DO WITH LOOKING AFTER UK CITIZENS. 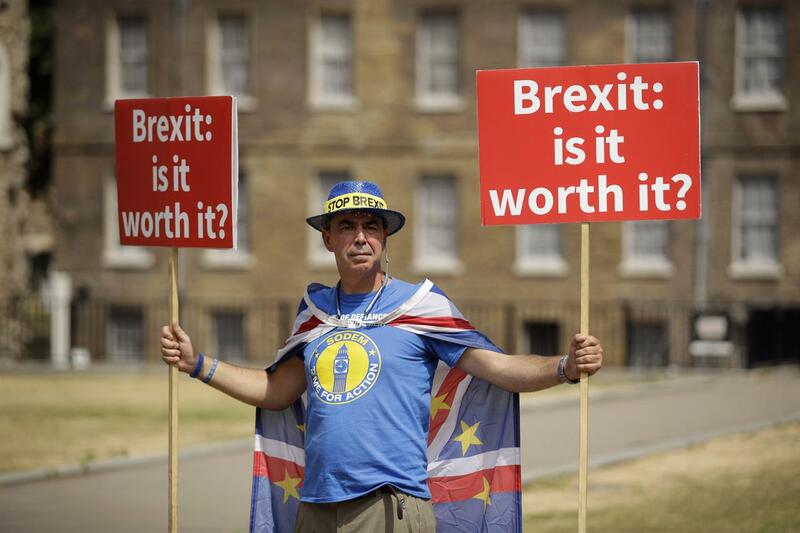 Posted by bobdillon33@gmail.com in Brexit v EU - Negotiations., Brexit., England EU Referendum IN or Out., HUMAN INTELLIGENCE, Post - truth politics., The common good., Trade Agreements., Transition period or Implication period., Unanswered Questions. The UK has consistently armed many of the most brutal and authoritarian regimes in the world. WITH IT’S RECENT BREXIT RHETORIC IT WOULD NOW APPEAR THAT IT CAN’T WAIT TO OPT OUT OF THE EU NATIONAL ARMS EXPORT LICENSING CRITERIA. UK arms manufacturers have exported almost £5bn worth of weapons to countries that are judged to have repressive regimes in the 22 months since the Conservative party won the last election. Out of 49 countries that are classed as “not free” by Freedom House, the independent organization that promotes democracy, 36 have bought British-made weapons under the current government. Even when Saudi’s massive order book is stripped out, arms exports to repressive regimes have almost doubled since the Tory government was elected: orders to such countries, excluding Saudi, amount to almost £1.2bn, compared with £680m in the 22 months before the election. Following the referendum on leaving the European Union, the Defence & Security Organisation, the government body that promotes arms manufacturers to overseas buyers, was moved from UK Trade & Investment to the Department for International Trade. SETTING THE ARMS TRADE ASIDE THE UK SINCE JOINING THE EUROPEAN UNION (WHETHER IT HAS BEEN A NET CONTRIBUTOR OR NOT) HAS NEVER ENGAGED WITH THE OVERRIDING ASPIRATION OF THE EU – PEACE. With just three months to go to the October deadline, we are now witnessing the new UK Brexit chief Dominic Raab threating to renege on paying the Uk legal exit payments. TO WALK AWAY FROM THE BREXIT DIVORCE WILL BRAKE INTERNATIONAL LAW. THE AMOUNT OF £39 BILLION IS NOT A GRATUITY PAYMENT IT IS A LEGAL LIABILITY. It represents liabilities to contribute towards pensions to public servants, agreed contributions to joint research and development programmes. It represents binding liabilities that in total are estimated to be £87bn. The EU has agreed to refund $48 bn, this includes the refund of the UK’s share of the ECB. Saying that the UK can walk away from its commitments is once more deceiving the people of England. Do so and there will definitely be NO DEAL ANYWHERE IN THE WORLD other than with the 36 who have bought British-made weapons. It will then be time to change the national anthem from God save the Queen to God Save The People. There will be no transition period. Sterling will fall- Inflation- unemployment- disruption at ports and airports- prices of consumer good to rise. Mr Raab claims that the EU,s economy will be worse off. Get real the EU27 economy is ten to eleven time the size of the UK’s. With a no deal, the peoples legal status as citizens on both sides will become illegal immigrants as any rights agreed do not apply. You can rest assured that nobody will ever try to leave the EU in the near future. PERHAPS HE IS WELL NAMED TO REPRESENT A RAVEN MAD UK that thinks that the EU owes them a deal, on non – negotiated terms to leave.